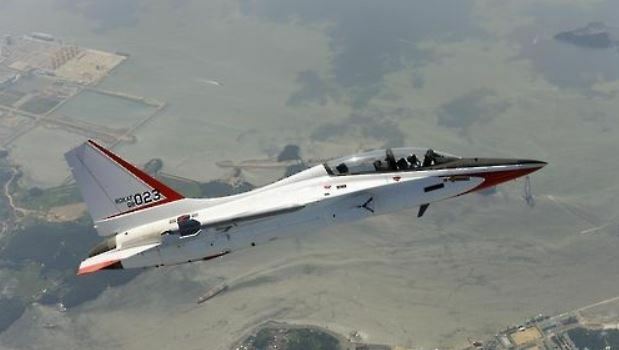 South Korea's military has decided to purchase more T-50 advanced trainer jets from a local producer, the nation's arms agency said Monday. The decision was made at the 105th session of the weapons procurement committee, presided over by Defense Minister Song Young-moo, according to the Defense Acquisition Program Administration. The panel did not specify the model or number of planes to be bought, only saying it will be a "domestic purchase" program. It strongly indicates that the T-50 Golden Eagle is the favorite to win the new contract. The T-50 is a supersonic advanced trainer aircraft developed by Korea Aerospace Industries and Lockheed Martin. "We plan to begin the project in 2019," said DAPA. The committee also decided to mass-produce another run of a next-generation military communication system buoyed by the successful field trial operation of the first one. In the 5.3 trillion won ($4.7 billion) project, DAPA aims to replace its existing analog communication platform, called SPIDER, with the digital-based Tactical Information Communication Network. Block I-1 of TICN was locally developed in 2015 after five years of work, with the first round of mass production done the following year. Several months of field tests showed that TICN enables more than ten times faster data transfers than SPIDER, according to the DAPA. The SPIDER system can only transmit still images and voice data, but TICN can transmit video, image and voice data.